Dr. Jay joins Northern Virginia Radiology Consultants as a board certified diagnostic radiologist with a certificate of added qualification in neuroradiology beginning December 2008. Dr. Jay attended Georgetown University School of Medicine after completing his bachelor of science at Emory University in Atlanta, Georgia. He subsequently attended the Georgetown University Hospital as a resident and chief resident of radiology. After acquiring his board certification, Dr. Jay completed two years of fellowship training in neuroradiology. The first at the George Washington University Hospital and National Institutes of Health, and the second as neuroradiology faculty at the University of Maryland Medical Center in Baltimore, MD. 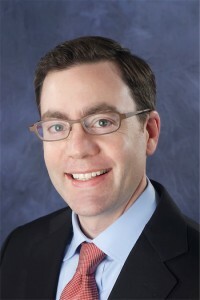 Dr. Jay subsequently acted as Assistant Radiology Residency Program Director at Mercy Fitzgerald Hospital, in Philadelphia.